Have you received the Holy Spirit into your life? 17 For the flesh has desires against the Spirit, and the Spirit against the flesh; these are opposed to each other, so that you may not do what you want. 18 But if you are guided by the Spirit, you are not under the law. 21 occasions of envy,* drinking bouts, orgies, and the like. I warn you, as I warned you before, that those who do such things will not inherit the kingdom of God. 24 Now those who belong to Christ [Jesus] have crucified their flesh with its passions and desires. 25 If we live in the Spirit, let us also follow the Spirit. 26 Let us not be conceited, provoking one another, envious of one another. 3 to whom he also showed himself alive, after he had suffered, by many infallible proofs, appearing to them for forty days, and speaking of the things pertaining to the kingdom of God. 5 for John indeed baptized in water, but you shall be baptized in the Holy Spirit not many days hence. 8 but you shall receive power, after the Holy Spirit has come upon you, and you shall be my witnesses, both in Jerusalem and in all Judea, and Samaria, and to the end of the earth. 9 And when he had said these things, as they beheld, he was taken up, and a cloud received him out of their sight. 11 who also said: Men of Galilee, why stand looking towards heaven? 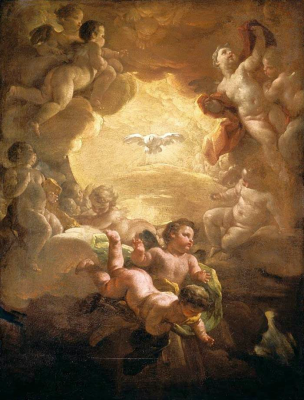 This Jesus, who has been taken up from you into heaven, shall so come in like manner as you saw him go into heaven. 12 Then they returned to Jerusalem from the mount called Olivet, which is near Jerusalem, a sabbath day’s journey. 9 But as it is written: Which things eye has not seen, and ear has not heard, and into the heart of man have not entered, as many as God has prepared for those that love him. 10 For to us has God revealed them through his Spirit. For the Spirit searches all things, even the depths of God. 11 For what one of men knows the thoughts of man but the spirit of man which is in him? So also the thoughts of God has no one known but the Spirit of God. 13 which things we also speak not in words taught by human wisdom, but in words taught by the Spirit explaining spiritual things to spiritual men. 14 But the psychical man receives not the things of the Spirit of God; for they are foolishness to him, and he is not able to know them, because they are spiritually discerned. 15 But the spiritual man discerns all things; he himself, however, is discerned by no one. The Hebrew language phrase ruach ha-kodesh (Hebrew: רוח הקודש, "holy spirit" also transliterated ruah ha-qodesh) is a term used in the Hebrew Bible (Tanakh) and Jewish writings to refer to the Spirit of YHVH. (The expression in Hebrew is: יהוה .קָדְשְׁך) The Hebrew term ruakh kodeshka (רוּחַ קָדְשְׁךָ, "thy holy spirit"), without the definite article, also occurs. 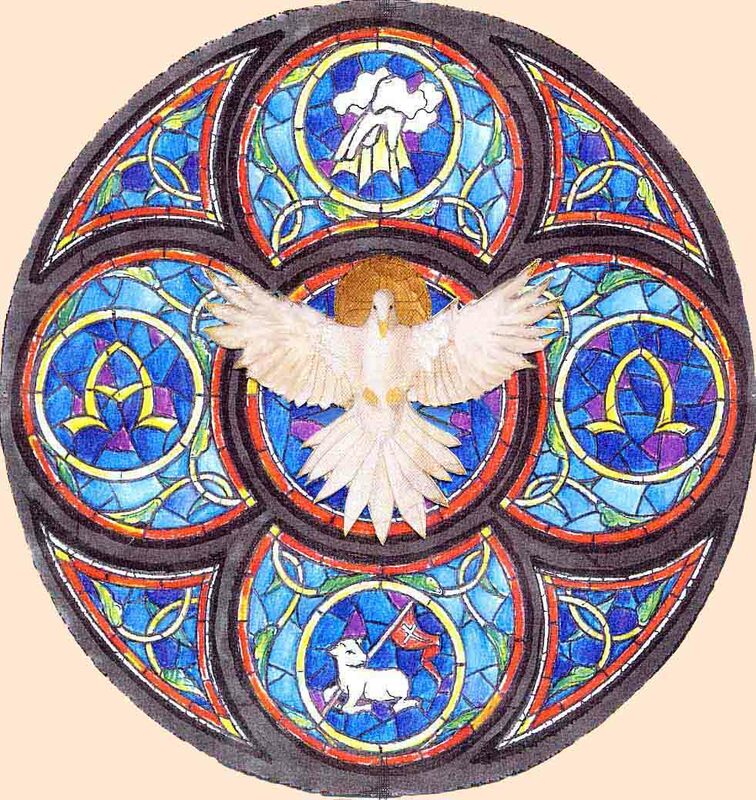 The "Holy Spirit" in Judaism generally refers to the divine aspect of prophecy and wisdom. It also refers to the divine force, quality, and influence of the Most High God, over the universe or over his creatures, in given contexts. 2 Now the earth was a formless void, there was darkness over the deep, with a divine wind sweeping over the waters. 2 However, the lands were unsightly and unfinished, darkness covered their depths, and God's Breath moved over their waters. 2 The earth was without form and empty, with darkness on the face of the depths, but God's spirit moved on the water's surface. The Holy Spirit consists of three parts: Spirit, Voice, and Word. From Spirit the Creator produced air and formed twenty-two sounds; the letters of the alphabet. From air He formed waters, and from chaos and void He created mire and clay, and from them He formed the foundation of existence. Free us from the slavery of Sin. 3 [namely, that] the mystery was made known to me by revelation, as I have written briefly earlier. 6 that the Gentiles are coheirs, members of the same body, and copartners in the promise in Christ Jesus through the gospel. 7 Of this I became a minister by the gift of God’s grace that was granted me in accord with the exercise of his power.